Three fold puja by Bhante Sangharakshita translated by Dhammachari Maitriveer Nagarjun. It is Roman version of hindi as well in hindi. We have chanted this puja at Buddhagaya order retreat as well order retreat bhaja in Jun 15. 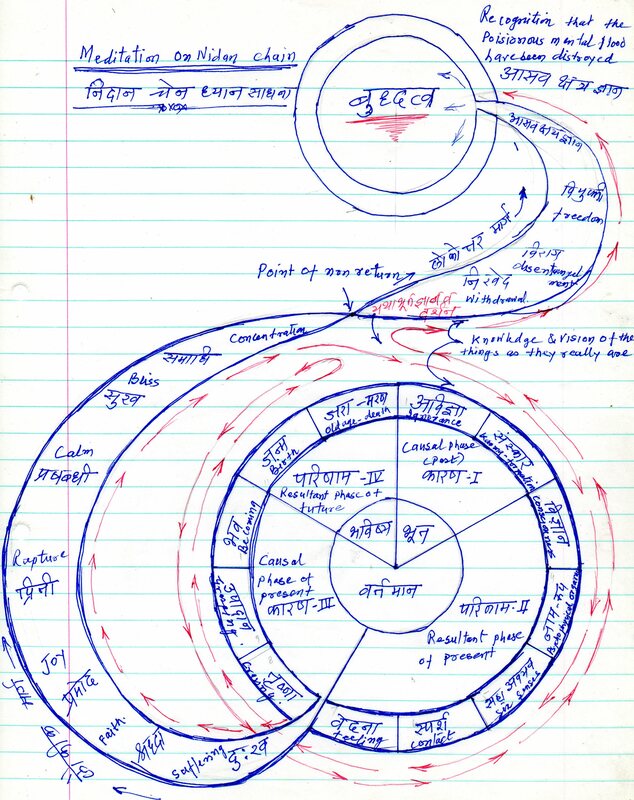 Dhammachari Chandrashil notes on Nidana Chain meditation.